the other night i decided it was time to refresh my bangs...myself. I've had long side bangs for a while and they drive me nuts. A few months ago I asked hubby if he liked my bangs 'as is' or if I should cut them. He said I should leave them, so I did. I had my hairdresser freshen them with a tiny trim at my last hair appointment. Well, I'm over it. I am oily and when I wear my bangs down they just get all stringy and they are constantly in my eyes so I've been keeping them pinned up or hairsprayed back. 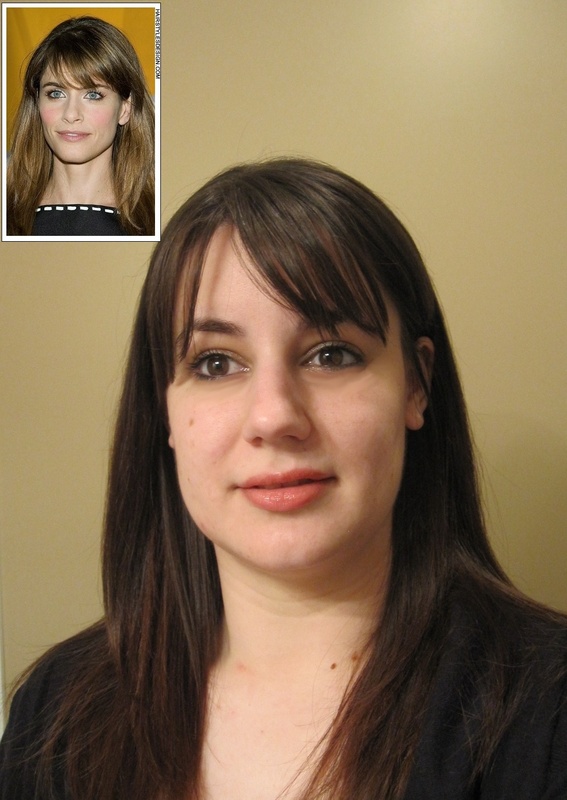 Wednesday night, around 11pm I took matters into my own hands and went to google 'bangs for square face" and the like. 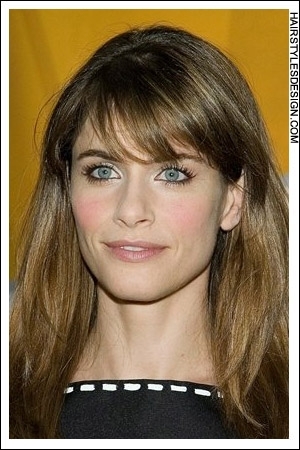 This picture of Amanda Peet showed up. 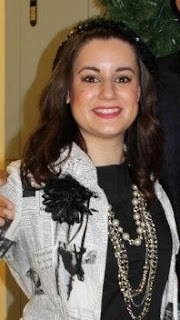 There, those are the bangs I want! Not quite "wall of bangs" a la Sandra Bullock's at the 2011 Golden Globes, but definitely not just a long swoopy layer of hair either. I'm happy with how they came out. No tears & no emergency trip to the hairdresser before work the next morning. Yay new bangs! Any hair issues in your life recently? Do tell. you look gorgeous!! I cut my own hair often too...they grow incredibly fast, and I don't like going to the hairdresser , it's boring. My hairdresser says I'm good with scissors, ah ha! !